Bihar Police Recruitment 2018 Notification is announced by the BPSSB and Central Selection Board Of Constable for the Recruitment of 11,865 Constable And Fireman Posts in Bihar Police Department and Bihar Fire Service and the Online Applications is available from 28th May 2018 to 30th June 2018 at the site www.csbcbponline.com and for more details visit the Bihar Police Recruitment For Constable Jobs. Bihar Police Constable Recruitment 2018: Good news for all the job seekers. you can check the updated information about the job notification. The candidates who want to join in the Police Jobs. They will recruit the candidates for the post of the Bihar Police Constable Jobs For Bihar Fire Service and Police Department. If you have an interest in this profile can check the educational qualification before applying for this job. 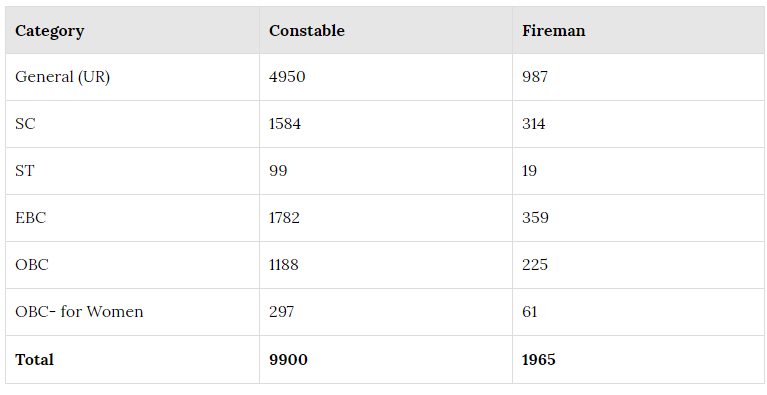 Contenders who are applying for this Bihar Police Recruitment For 11865 Constable And Fireman can check the notification once and can apply online only if satisfied with this profile. Check for more govt jobs in Bihar in order to apply for those who are not aware of this. Candidates will check the details of Bihar Police Constable And Fireman Job Vacancies 2018. Those who have interest this profile they have completed the plus two from the recognized university is the required qualification to apply for this job. 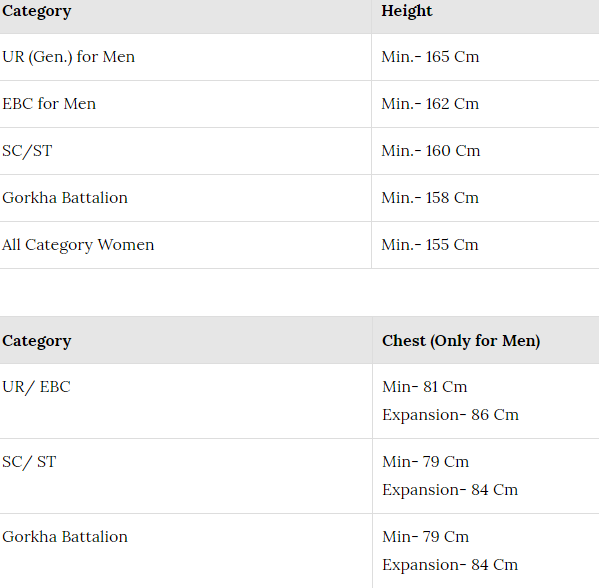 If there are any changes in the recruitment we will update the information on the official website such as www.csbcbponline.com. The last date for applying before or on 30th June 2018. please read the provided information of this notification at below sections. www.jobschat.in will post the details if any changes in this Bihar Police Constable And Fireman Recruitment 2018. Candidates should have Matriculation pass along with Intermediate(+2) or equivalent from recognized Board of Bihar State. Applicants who are interested in applying for this Bihar Police Constable And Fireman Jobs have to gain the following age limits. For General Candidates: Minimum of 18 years and Maximum 25 Years. For OBC Candidates: Minimum of 18 years and Maximum 27 Years. For SC/ ST Candidates: Minimum of 18 years and Maximum 30 Years. The Contenders while Enrolling for this Bihar Police Recruitment For Constable And Fireman Jobs should Pay An Non-Refundable Fee as per the placed category. Those applicants who will be recruited successfully against Bihar Police they will attain salary of Rs.5,200/- to Rs.20,200/- along with GP of Rs.2,000/- with CPC from Bihar Central Selection Board Of Constable. Bihar Police Job Vacancy 2018 has been released for 11865 Constable And Fireman Posts and the eligible can apply online for the latest Jobs those who receive this Bihar Police Jobs Information. Stay connected with us get the latest recruitment of the notification. So the job hunters use this opportunity to apply this post and who are applied should start the preparation using the Previous papers which are provided by the site Jobschat.in. Coming to the selection rounds, Contenders will be selected on the basis of the Written Test and physical standard test. So, refer our page to know the further updates from the Bihar Police Department. Click on the available Bihar Police Constable And Fireman Notification 2018 as per Advt No: 02/2018. Check the details which are inculcated. And If eligible Apply for the Bihar 11,865 Constable And Fireman by Opening the application placed as per the given instructions. Pay the Fee and then click on submit button.